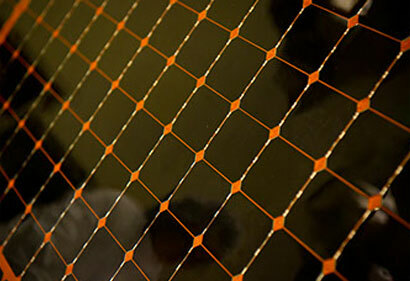 Spectrolab offers a range of GaInP/GaAs/Ge lattice matched 3J solar cells with efficiencies reaching 32%. All 3J technologies are fully AIAA S111 and S112 qualified. Spectrolab's space solar cells can be purchased as bare cells or assemblies complete with space-qualified coverglass, bypass diode, and interconnects for welded connections between solar cells (CICs). Spectrolab's Industry Leading Technology with 32% efficiency! 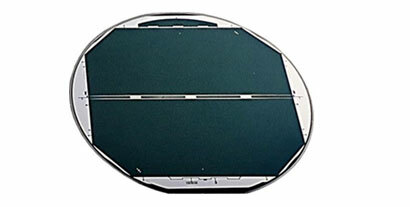 The greatest share of Spectrolab's product deliveries are fully assembled space solar panels. Based on a customer's specifications for maximum area, operating temperature and voltage, and the mission environment and duration, Spectrolab engineers maximize performance for End of Life performance. The panel substrates onto which Spectrolab's multijunction circuits are bonded and wired to terminations, are provided as customer-furnished equipment. Spectrolab manufactures and tests fully-integrated solar panels for commercial, civil and defense missions. 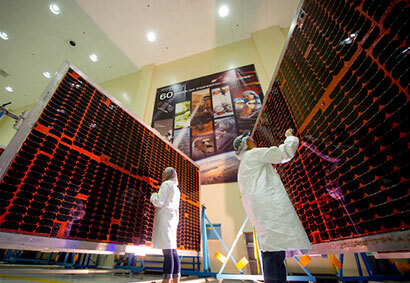 These solar panels are then delivered to satellite prime contractors for integration onto spacecraft. Pictured here are typical examples of large solar panels. Spectrolab offers a variety of 3J concentrator solar cells with efficiencies up to 40% at concentration. Cells with performance optimized to concentrations above 1000 suns are available. Cells sold either as bare cells or binned discrete cells in waffle trays.